English author Andrew Miller has been winning awards for his writing ever since his first book, Ingenious Pain, was published in 1997 and won the James Tait Black Memorial Prize, the International IMPAC Dublin Literary Award and the Grinzane Cavour Prize. His third book was shortlisted for the Booker Prize and the Whitbread Novel of the Year Award in 2001, and his sixth, Pure, won the Costa (formerly Whitbread) Book Award in 2011. Best known for his historical fiction, and now on his eighth book, Miller is well-established – in fact, the Observer’s reviewer has stated that Now We Shall Be Entirely Free’s absence from this year’s Man Booker longlist is ‘already something of a travesty’. Now We Shall Be Entirely Free is set in 1809 in the aftermath of a disastrous retreat in the Peninsula War against Napoleon’s forces. Captain John Lacroix is delivered home to Bath on the brink of death, and while his housekeeper skilfully nurses him back to some semblance of physical health, his mind remains severely troubled. Lacroix’s regiment requests his return and, back on the continent, two other soldiers, Calley (British) and Medina (Spanish), are given seemingly traceless orders to be carried out in secret retribution for recent events. Rather than immediately returning to his regiment, Lacroix journeys north to the Hebrides in his struggle to make sense of the world and the horrors he witnessed. Miller is in full command of his varied ensemble cast, which ranges from dangerous sticklers to frolicking freethinkers. All prompt consideration of what humans are capable of in war – and in peace. 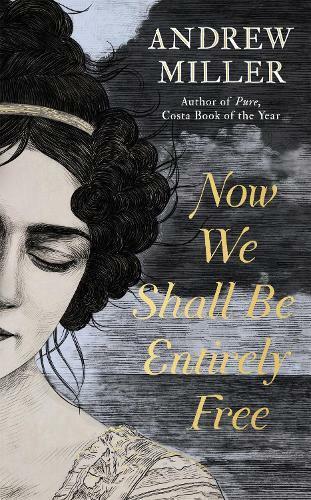 Now We Shall Be Entirely Free is a page-turning novel that will engage historical fiction readers, as well as those seeking an immersive adventure tale. A captivating novel of manners that tells the story of a dark and disturbing period of British history, by a master storyteller.